The US dollar was locked in directionless trade on Monday ahead of a crucial meeting of the Federal Reserve. This week’s two-day Fed meeting is the first one in nine years in which markets see a realistic chance that interest rates could actually be raised. The dollar was trading flat against a basket of six major currencies. This comes after a one week slide in the dollar that’s taken the bench index back down to 95.4 from 96.42. The dollar saw the biggest moves against the Japanese yen. This came after traders became nervous following a batch of poor data from China over the weekend. The euro and the British pound were locked in range-bound, though fairly choppy trade for much of the day. 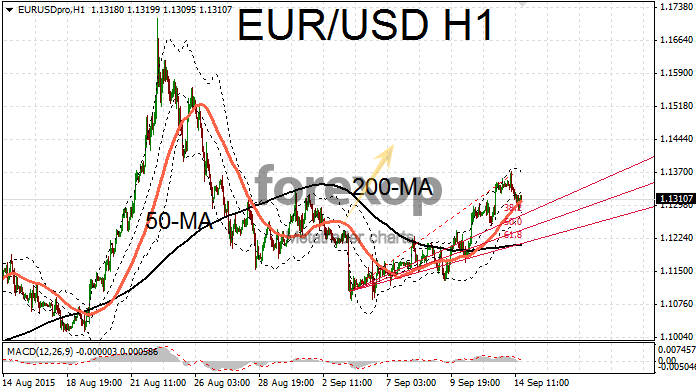 The euro benefited early on from some decent economic news covering the Euro area. Industrial production increased well in excess of forecasts according to the latest figures from the official European statistics office, Eurostat. Month on month production grew by 0.6 percent in July against a predicted 0.3 percent and rebounding from June’s contraction of minus 0.3 percent. Most of the gains came from increases in energy production, as well as capital and consumer goods. 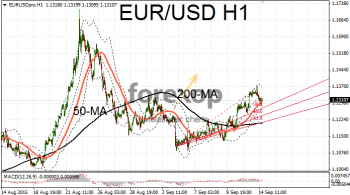 EUR/USD was trading up as high as 1.1372 but after a solid run over the past few days momentum to push higher was lacking. GBP/USD also gave up some of its strong rally today falling back to 1.5420. Cable was trading beneath the day’s pivot line around 1.5438 as most traders sold into upward rallies not wanting to be exposed during the Fed’s forthcoming meeting. The Fed’s interest rate decision still remains up in the air and this will likely see some volatile trade up until Thursday. Though recent policy announcements from China intended to firm-up the economy may provide the FOMC with the reassurances that they will need that global markets are stable enough for them to begin the tightening cycle.